These last two assumptions allow to reduce the fire resistance of the supporting structure (but not of the stairs) depending on the existence of light covers, sprinklers, evacuation of smoke, etc. 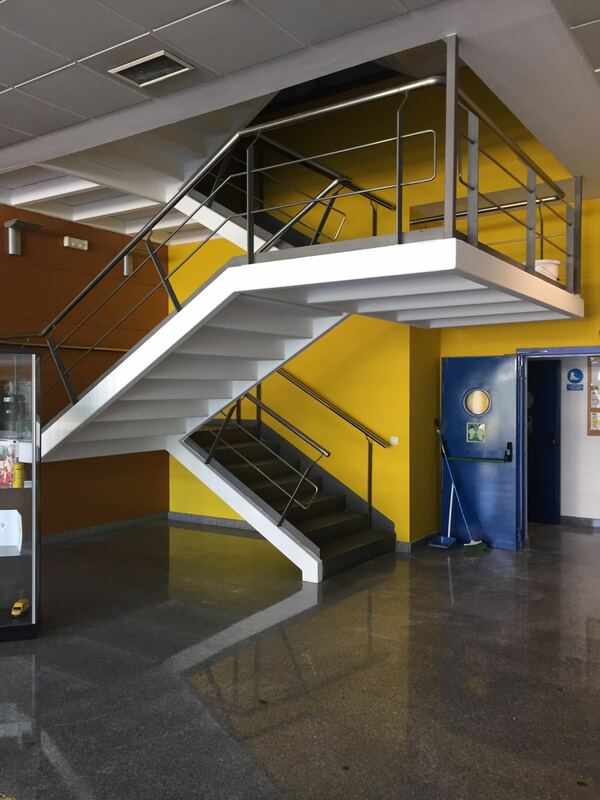 We understand that the supporting structure of a metal stair are the beams support ing the metal steps and the landing, as well as some support pillar, so protecting those elements we would solve the problem. In principle, according to the Public Works Minstery, it wouldn’t be necessary to protect them against fire if the metallic steps are independent of the main structure, but most of the time these elements are welded to the main structure which means that their deformation during a fire can affect the supporting beams so they should be endowed with the same fire resistance as it is exposed also in act iii 04-11-14 of the Community of Madrid. Industry Council. – Intumescent painting (Teclak-w): It has the aesthetic advantage and it withstands the vibrations very well. It has the disadvantage that for 60 -90 minutes the thicknesses are very high (expensive and the finish is not perfect) and in many occasions the test does not reach the masses requested by the structure. – Mortars (Tecwool F and Tecplaster): Their price is an advantage, but it doesn’t fit aesthetically as well as the other two solutions do and it usually needs an outer coating. Also in some cases it can present problems of detachments by vibration. – Silicate Panel (Tecbor): Good finish and valid for the entire common range of masses. 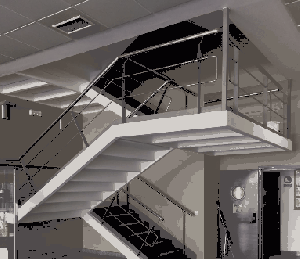 There are many metal stairs that do not have risers (there is a gap between the steps) and there is a problem here. Even if the supporting structure has been protected and the ladder has been standing for as long as the standard requires, if a fire occurs and the fire or the smoke passes between the steps, the escape route will be useless. That is why our recommendation in these cases is to protect it with Tecbor® Silicate Panel underneath as a false ceiling while protecting the supporting structure and preventing the passage of flames and smoke between the steps. As a disadvantage, we have to say that some dirt can be accumulated by the top of the ladder, but it is always better to go in favor of fire safety and use it as an effective escape route. We have seen some interpretation criteria of Annex A of the CTE in which if we have a loft or floor whose occupancy density does not exceed 1 person / 10 m² and whose total surface + staircase does not exceed 50 m², we could fix the source of evacuation at the bottom of the ladder and therefore it would not be part of the evacuation path and would not need to protect it. This is a wrong interpretation of the standard, since it is meant for the computation of the evacuation length and not to exempt it from the compliance of fire resistance, in both, the attic or the plant structure and the staircase itself. We should remind that these ladders serve first of all for people evacuation (which may be more or less fast) but also for the firemen to enter into the place to extinguish the fire. What temperatures reaches a flame? What is the death by asphyxiation? 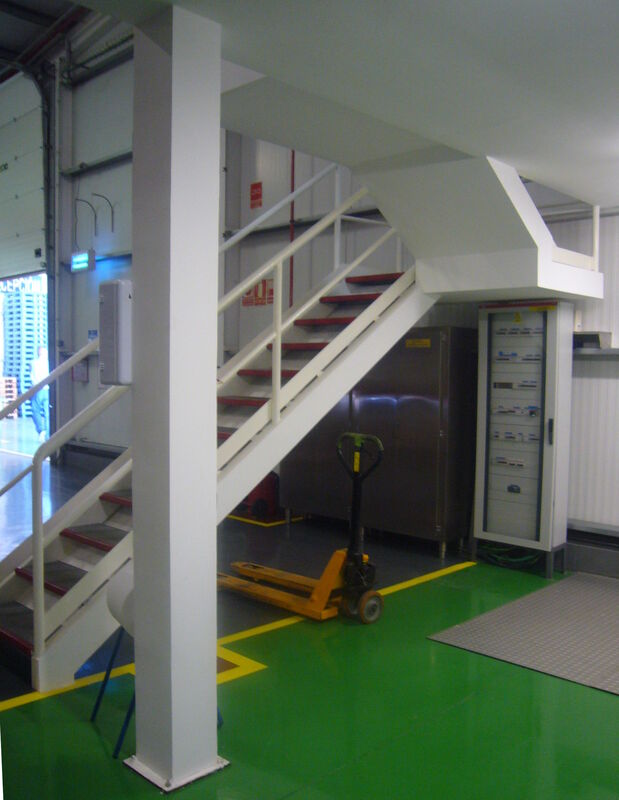 Fire protection in metal evacuation stairs. How to extinguish a fire without using water?. If you want more information, you can fill out the following form and our area response will contact you as soon as possible.